Home » Archives » Spooky Bonfire Disco! Join us for our Spooky Bonfire Disco on Friday 6th November – there will be lots of ghostly goings on with a Halloween / Bonfire themed disco, hotly contested fancy dress competition, ghoulish games and terrible treats – there’s even a dark spooky room…if you’re brave enough to enter! 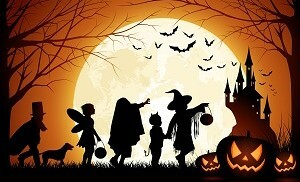 Plenty of frighteningly good fun for children of all ages. 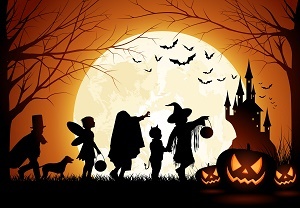 The event runs from 5pm to 7pm so everyone has time to go home and dress up – from ghosts with phantom fireworks to witches casting fire spells we’ll all be boogieing the night away and giving prizes for the best costumes. With blazing hotdogs available on the night as well as drinks and treats, you don’t even have to worry about feeding the little monsters! Cost £1.50 per child. Tickets available in advance via ParentPay or a limited number of tickets will be available on the door. Babies and toddlers are free.